Iran may be interested in purchasing up to $10 billion in military hardware from Russia, a senior Russian official told reporters on November 14, according to TASS news agency. the chairman of the Russian Federation Council’s defense and security committee, Viktor Ozerov, said. Under the so-called Joint Comprehensive Plan of Action (JCPOA), an international agreement on the nuclear program of Iran signed in July 2015 and going into effect in January 2016, the UN arms embargo is slated to be lifted by October 2020. Prior to that date, all sales of offensive weapons systems to Iran will have to be approved by the UN Security Council. Up until now, no requests have been made, according to Ozerov. “There’s been no such request so far, but work on such issues is in progress. If the United States and Europe fail to grant permission, then we will get back to this issue in October 2020, when the formal legal aspect of this will be gone,” he said. The Russian ambassador to Iran, Levan Dzhagaryan, confirmed that Russia will abide by UN Security Council Resolution 2231 and that Tehran will need to seek permission for any purchase of Russian military hardware prior to October 2020. “As you know, after the JCPOA was signed, the United Nations Security Council adopted Resolution 2231, setting out the restrictions,” Dzhagaryan told the Tehran Times. “Nevertheless, we are ready to cooperate with Iran on this sensitive issue, but only under permitted areas,” he added. 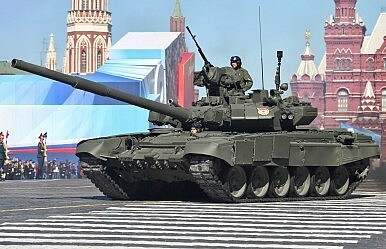 The Russian company Uralvagonzavod has offered to license produce third-generation T-90S main battle tanks in Iran once restrictions on military cooperation between the two countries are lifted (See: “Will Iran License-build Russia’s T-90S Main Battle Tank?”). Moscow and Tehran are also locked in talks over the purchase of an unknown number of Sukhoi Su-30SM multi-role fighter jets, the Iranian minister of defense, General Hossein Dehghan, said in August (See: “Will Iran Buy Russian Fighter Jets?”). Russia is currently delivering an unconfirmed number of S-300PMU-2 Favorite long-range surface-to-air missile (SAM) batteries, a defensive weapon system exempted from Resolution 2231, to Iran (See: “Russia Delivers First Missiles for Iran’s New Air Defense System”). Russian presidential aide for military-technical cooperation, Vladimir Kozhin, explained in May that Russia is not working on any “absolutely new” military deals with Iran. Iran’s defense minister reiterated Tehran’s interest in new Russian combat aircraft.